In exactly 9 months, Canadians will head to the polls for the 43rd federal election. Justin Trudeau’s Liberals will fight for re-election against Andrew Scheer’s Conservatives, currently in opposition. Also hoping to make gains will be the New Democratic Party, under the new leadership of Jagmeet Singh, as well as Elizabeth May’s Green Party and interim-leader Mario Beaulieu’s Bloc Quebecois. At the start of the new year, Canada’s politics are as eventful as ever. 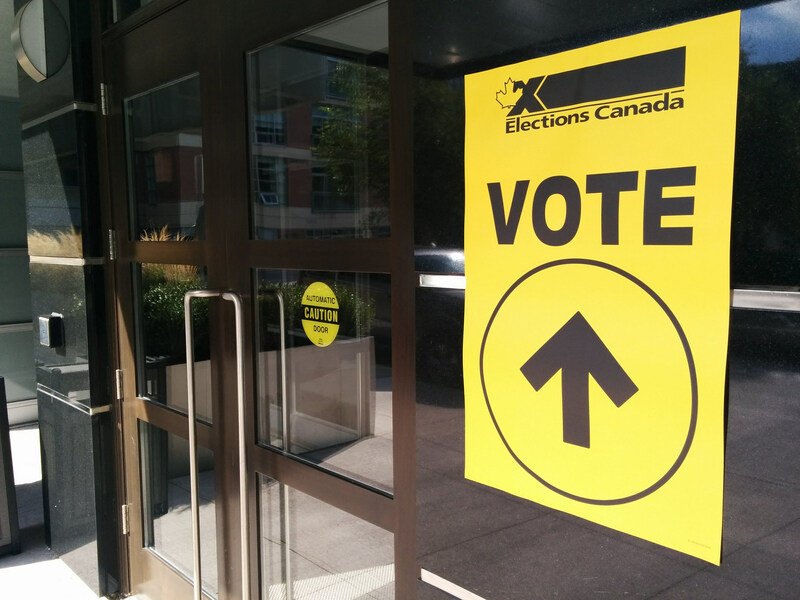 With just 9 months until election day, MJPS has rounded up some of the most important election-shaping events from the last month, along with a preview of what to expect in federal politics over the next month. After the former president of the Treasury Board Scott Brison announced his departure from cabinet, the Liberals took the opportunity to partially reshuffle their cabinet into what will likely be their roster for the election. Brison will be replaced by Jane Philpott, for whom the Treasury will be her third portfolio since 2015. She leaves the Indigenous Services portfolio created in 2015 to be filled by Seamus O’Regan. Bernadette Jordan takes over as Minister of the newly created portfolio of Rural Economic Development. Notably, former McGill law professor David Lametti has been named as the new Minister of Justice and Attorney General, taking over from Jody Wilson-Raybould, who is now filling O’Regan’s previous post within Veterans Affairs. Wilson-Raybould’s appointment in 2015 made her the first Indigenous Minister of Justice and was widely seen as a step forward for reconciliation. Despite Trudeau’s assurances otherwise, her reassignment to Minister of Veterans Affairs has been interpreted by many as a demotion. This move could backfire on the Liberals, whose reconciliation promises are under fire yet again in a series of protests against pipelines on Indigenous land. The reasons for Wilson-Raybould’s move are still unclear, but the politics behind it are likely to draw attention to the federal government’s relationship with Indigenous peoples in the upcoming election. For several months now, the NDP’s main focus has undoubtedly been on getting their leader a seat. Jagmeet Singh has been a seatless leader of the NDP since he was elected in October of 2017. Singh declared his intention to run in Burnaby South in August of 2018, and formally announced his nomination back in September, after NDP MP Kennedy Stewart stepped down to run for Mayor of Vancouver. It is customary for incumbents to extend courtesy by not nominating candidates to compete in a riding where another party leader is running. In the case of Singh’s riding, however, this courtesy has not been extended. Furthermore, despite calling by-elections in two other ridings, Trudeau delayed calling a by-election in Burnaby South until January 9th, with the byelections to be held on February 25th. The Liberals running a candidate in Burnaby South and delaying the calling of the byelection could be a strategy to keep Singh and his challenges out of the House of Commons for as long as possible. Liberal candidate Karen Wang was nominated on December 29th and would have presented a challenge for Singh in a riding that the NDP had previously won by only 500 seats. Wang had campaigned heavily as part of #TeamTrudeau, likely intending to reassure left-leaning voters by distancing herself from the center-right provincial Liberals of BC. This strategy never transpired, as Wang resigned on January 16th, after having pointed out Singh’s Indian descent on Chinese social app WeChat in an attempt to appeal to voters of Chinese descent. The Liberal party subsequently declared her comments as against the “values of the Liberal Party of Canada,” and accepted her resignation. On January 19th, the Liberals replaced Wang with Richard Lee, who formerly served as provincial MLA for Burnaby North for four consecutive terms. A lack of strong connection to Burnaby’s community and politics is Singh’s glaring and unavoidable disadvantage, which Lee will surely seek to exploit. In polls conducted before Wang’s resignation on January 8th and 9th, Singh was leading by 12 points at 38.8%, with Karen Wang at 26.3% and Conservative Jay Shin at 22%, giving the NDP leader a healthy but not indestructible lead. The riding is crucial for Singh not only because he needs a seat, but also because a win in a BC riding would help garner broader support for the party in the province where NDP support is at its highest. Although Singh has asserted that he will lead the NDP in the 2019 general election regardless of the byelection’s outcome. Thomas Mulcair, former leader of the NDP, has suggested it would be difficult for Singh to remain as the party’s leader without quickly securing a meaningful presence in the House of Commons. Beyond questioning of Singh’s legitimacy as the leader, a loss would also make it difficult for the NDP to sway voters without the presence of their leader in Parliament. Meanwhile, Mulcair’s former riding of Outremont is also having a byelection on the 25th. The NDP have put forward Julia Sanchez, former CEO of the Canadian Council of International Cooperation, in her first endeavour into politics. She faces Deputy leader of the Green Party Daniel Green, Conservative candidate Jasmine Louras, and Liberal candidate Rachel Bedayan, who finished second behind Mulcair in 2015. Outremont had been held by Liberals for a decade before Mulcair’s win in 2007, which is considered one of the early footholds of the NDP’s Orange Wave in Quebec – a symbolic importance which Singh has acknowledged. The byelection results in Outremont could be indicative of the NDP’s wider standing in Quebec, where they currently poll at only 14.6%, with plenty of room for potential gains. Andrew Scheer, alongside provincial Conservative premiers, has been vocal in his opposition to Trudeau’s current climate change plan, which includes an output-based carbon pricing scheme as a means to reduce carbon emissions. This federal carbon pricing took effect on January 1st for large industrial emitters in Saskatchewan, Manitoba, Ontario, and New Brunswick— the four provinces which failed to implement their own carbon pricing scheme. The Conservatives are enjoying strong support in Alberta, the hub of the oil and gas industry, and are currently polling at around 60% in the province compared to the Liberals at only 20%. Scheer has characterized 2019 as “the year of the carbon tax,” and assured voters that his alternative climate plan will be based on incentives instead of taxes that impact the average Canadian. Despite announcing his forthcoming plan in April of 2018, any details have yet to be released. Opposition to the carbon tax could be a key campaign point for the Conservatives in 2015, making the release of concrete plans even more important. MPs return from their holiday break on January 28th, beginning their last legislative sitting before adjourning for July and August. When MPs return in September, there will only be little over a month before the election in October – leaving little time to accomplish any major legislative tasks. One the House returns on January 28th, it will be crunch time for the Liberals to fulfill any final legislative promises before the election. With several major promises – including electoral reform – unfulfilled, the Liberals will be looking to push through final legislative success stories to tout during the 2019 campaign.